Okay, I've made a second card with the Everyday Pop-Up Cards cartridge, and I think I'm starting to get the hang of it. 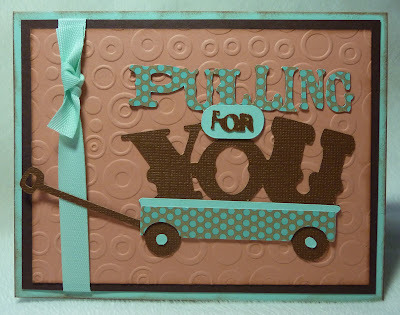 For the front of my card, I cut the phrase and all of its layers (except for the shadow) at 2.75". If you have seen the handbook for this cartridge, my wagon attaches to the card in the same way as the airplane in the sample project. 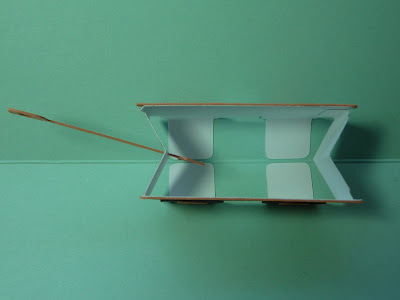 It's different from the flowerbox I used in this post, because it is free standing and not attached to the front side of the card. Here is how it looks with a bird's eye view. I think the secret to making these pop-ups look good is using layers with different patterns and colors. Unfortunately, this takes a bit of work on the Gypsy or Design Studio. The main cuts on each handbook page do not match the sizes for the pop-ups. For my card, I cut my pop-up at 4". 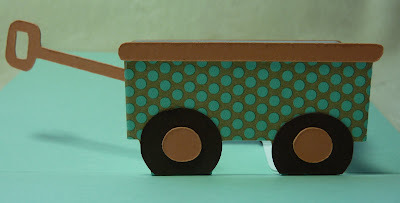 On my Gypsy, I was able to line up the different wagon layer cuts on top of the pop-up to determine the correct size. Unfortunately, I didn't save those sizes for you. For the wheels, I cut circles from Mini Monograms, again lining them up to determine sizing. After gluing them to the pop-up, I trimmed the bottom off of each circle in order to glue the pop-up to the card. This is so cute! 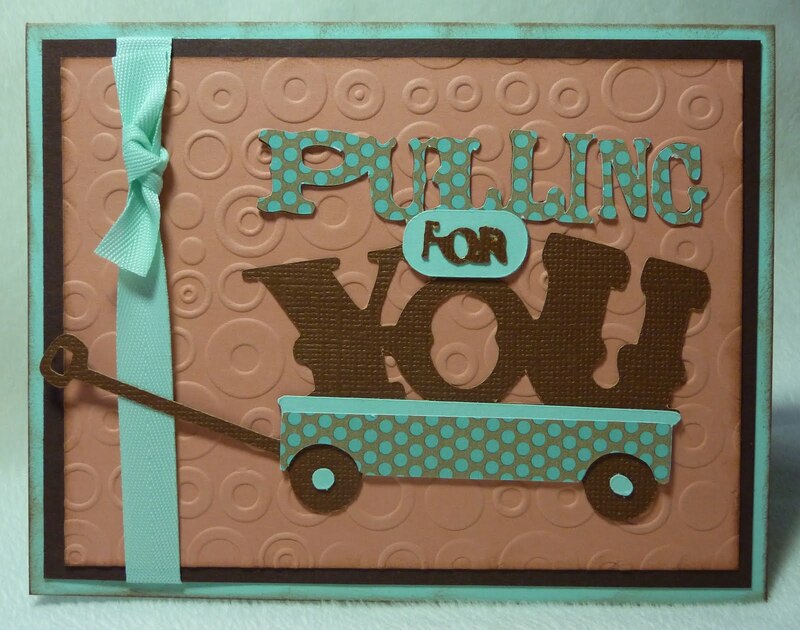 I just love the cards you're making with that cart. Adorable your card is super cutewish I was as creative as you are. Tha;nks for your insight, can't wait to try one! Thanks so much for posting these. I tried 2 cards and made a mess. I am deteremined to try again after seeing your cards! Beautiful job! Nice card. Can you try one of the wedding ones or thew machine? 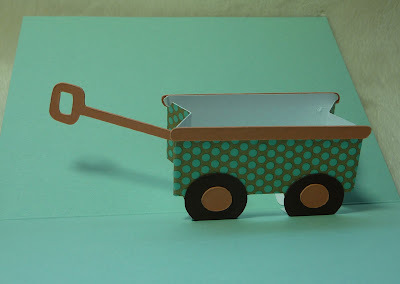 Super cute cards Katie.. do you like this pop up cart.???? Your card is so cute! I love it and the papers you used. Thanks for the info bc I am waiting for this cart to arrive. Super cute. Thxs for all the hints! I may need this cart.